Okay, we got distracted by some topics last week, let us go back to taking a look at the recent changes. 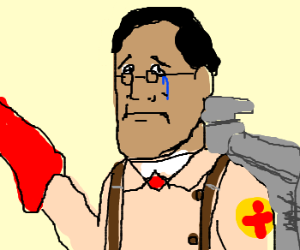 Now, for Medic, Demoman and Engineer. Definitely, Valve trying to make TF2 Trading active again with these changes to make Team Fortress 2 fresh. 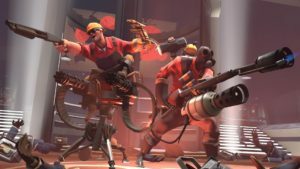 So, with these changes, Team Fortress 2 players will become more active again in playing the game. This also means that players will be having to change their usual playstyle to cope in these changes. TF2 Items will definitely sell again with the players coming back to play TF2. That’s something to assume, right? Hopefully! Last time I shared to you guys the changes made to the first three classes (Scout, Soldier and Sniper) in Team Fortress 2. These changes and balances were made in accordance with the new competitive mode and the new quick play mode. Good thing that Valve made these changes so that Team Fortress 2 will at least become a little fresher than the usual. This might make TF2 Trading a little more active as well, who knows? With the balances and changes, players will have to play differently which is a good thing. Team Fortress might be old but these little patches can bring a whole new ballgame to Team Fortress 2. I saw some people comment that it’s a miracle that there’s a new patch which is true. They are happy that there is but they also don’t want to overhype it because there is nothing to be hyped about. Well, at least there’s a chance that there will be more TF2 Items available in the store! We will continue next time for the last three class changes! TF2 Market: Do You Know This Already? We all have that favorite role in Team Fortress 2. We prefer this certain class more than the other classes in the game because we are so comfortable playing with that role therefore we perform best. 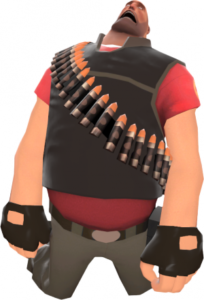 I assume that most Team Fortress 2 players don’t know the every detail of the changes in the new big update for their classes like they do not know the trend in the TF2 Market. Do not worry, we will cover them here! With the help of a good Samaritan in Reddit, we got the changes for Scout, Soldier and Sniper. We will cover the rest of the lineup on the next write-up. 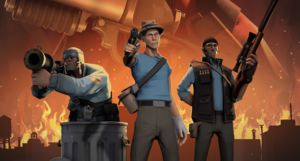 The thought to trade TF2 for another game shouldn’t cross your mind because these changes brings a new excitement to the game. Look forward for the rest of the changes in my next post! TF2 Trading: Desperate Time, Desperate Measure? Overwatch is beating the crap out of Team Fortress 2 in every aspect there is. Of course, some people might disagree but hey, truth hurts. Team Fortress 2 might have let the whole market take over them because they were, yes, were, on top of the FPS market for some time and might got a little too overconfident. Well, Blizzard saw that window and thus Overwatch. We might say Valve and TF2 is done for but TF2 trading some more blows and get a second wind, which I still doubt. Ever since the first dolphins crawled out of the ocean, they’ve longed to pick a fight with the fat, banana-eating apes over by the trees. And now they can, in a structured dolphin-safe environment. Introducing Competitive Mode, a ranked 6v6 game mode featuring all nine TF classes. Climb the comp mode ranks to earn up to 18 titles and badges. Track all of your match and ongoing stats in-game. You can even earn stat medals by scoring in the top percentile of all players in your rank. Matchmaking is also changing the way TF2 can be played casually. Now, instead of jumping randomly into an in-progress game, you’ll be matched into an unranked 12v12 game with players of similar skill. This means no more auto-balancing—you’ll be playing a match from start to finish, with actual winners and actual losers. We’ve also introduced a leveling stat: the more you play, the more you level up, and you can accelerate your leveling by earning points in-game. Have friends? Play on the same team every time simply by inviting them to your party. These information came from the Team Fortress 2 website. If you haven’t played Overwatch, this seems like a desperate move of Valve and without the capacity of creativity, they just copied what is in Overwatch right now. 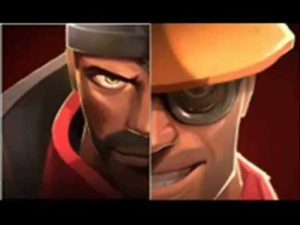 I don’t think “Overwatch just copied TF2” won’t work anymore because clearly, TF2 is the copycat on this one. Also even if there are more TF2 items, free or not, it won’t save the dying game anymore. Good try though, Team Fortress 2.